After nasopharyngeal cancer chemotherapy, whether diet is reasonable or not will affect the recovery of patient's body a lot. 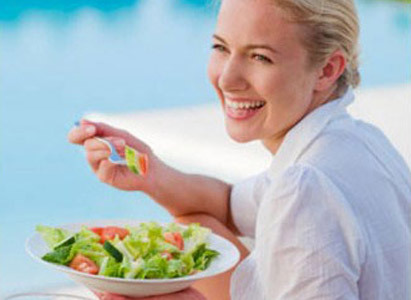 Patients should eat the foods that are rich in high nutritional and easy to digest; the diet should be balanced: more vegetables and fruits, less or no salted fish, pickles, bacon, preserved meat and other foods containing nitrosamines; patients should not eat spicy foods or take excessive alcohol consumption. Especially during the process of chemotherapy, nasopharyngeal cancer patients often suffer from dry mouth, loss of appetite, nausea and vomiting, and so on. Some patients with nasopharyngeal cancer may have relatively poor appetite after chemotherapy; while with the traditional Chinese medicine treatment, the side effects can be reduced. Some foods may also have certain adjuvant efficacy on treatment, such as, fructus momordicae, lily, loquat fruit, ginseng, yam, lotus seeds, pear juice, carrot juice, mung bean soup, white gourd soup, watermelon, loofah, jellyfish, loquat, kelp and so on, besides, patients shall also take more fish, meat, milk, honey, fresh vegetables and fruits, etc. After chemotherapy, physical condition of patients with nasopharyngeal cancer is very poor, and at this time, patients must be timely nutritionally supplemented. The diets at that time shall be moderately mixed with some nourishing Yin, moisturize foods or the foods that can promote the production of body fluids, such as sugar cane juice, pear juice, water chestnuts juice, watermelon juice, strawberry juice, orange juice and so on to ensure a comprehensive nutritional balance and improve adverse reactions from chemotherapy as well. Because sometimes chemotherapy can cause pharyngeal mucosa congestion, edema and dysphagia, so diets should be based on patients’ actual swallowing circumstances and mainly feature light favor, less cooking oiled liquid diets, such as milk, lotus root starch, protein powder, panada, broken rotten noodles or other starchiness foods, so that patients can easily swallow and digest these foods. Side effects of chemotherapy include nausea, vomiting, etc. Some anticancer drugs will make oral pain, or even ulcers, so patients need to gargle regularly and correctly. If mouth ulcers have affected appetite, doctors will recommend patients to first use anaesthetic to gargle, then to take meal or nutrition supplement through intravenous way. Of course, the best way is to eat, digest or absorb the foods by themselves, which is beneficial to the healing of ulcers. During the course of chemotherapy, if no appetite, patients need to eat nutritious and high-calorie drinks, such as milk, soups, etc. Experts of Modern Cancer Hospital Guangzhou remind that after chemotherapy, nasopharyngeal cancer patients shall attach great importance to reasonable diets as proper diets not only can help patients conditioning nutritional balance of physical bodies and reduce side effects of chemotherapy, but also increase anti-disease ability of patients and bring a positive impact for the improvement of the disease.